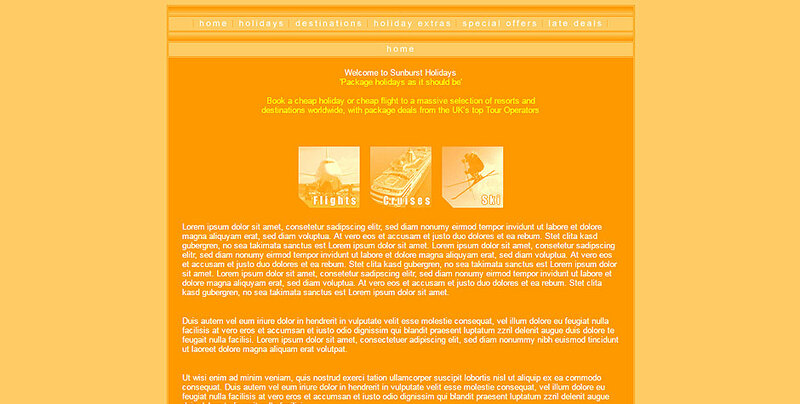 Sunburst is a package holiday website where customers can browse a large range of holidays online. The categories varied from Flights , Cruise Holidays and Skiing Holidays. Package holidays is what Sunburst Travel specialise in.